Product prices and availability are accurate as of 2019-04-24 16:07:37 UTC and are subject to change. Any price and availability information displayed on http://www.amazon.com/ at the time of purchase will apply to the purchase of this product. 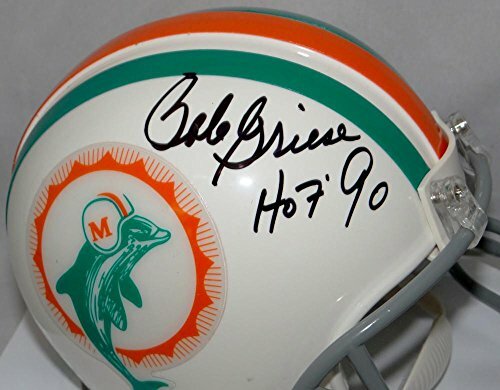 This is a Hand Autographed Mini Helmet ofBob Griese of the Miami Dolphins. 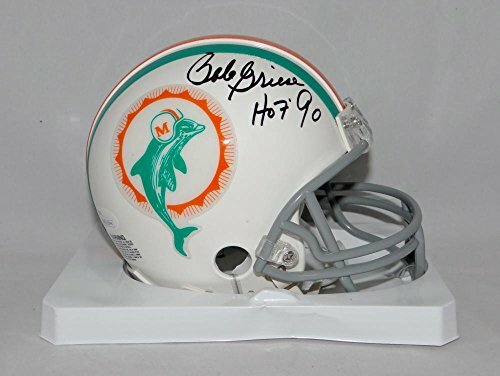 This is a Riddell 1972 Miami Dolphins Football Mini Helmet. This item has a James Spence Witness Protection Authentication, which Comes with a JSA #'ed Sticker and a Matching JSA COA. You can view this item on the SpenceLOA website, it shows when and where the item was signed. 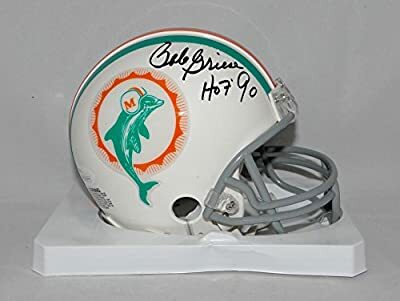 It was signed either at a public autograph appearance or a Private Signing. This is a stock photo of the item. Although you may not receive this exact item, the item you receive is virtually identical and brand new in great shape.